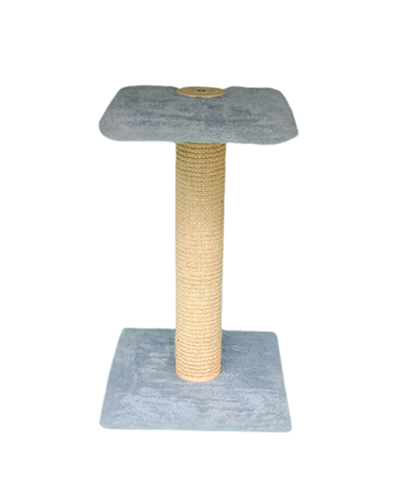 ASTA Model are very popular model for all pet owner .Here One side Long scratchingPost and other side build house to give Jumping platform with living room .Cat canmove as round way and authentic action. Top is fitted Nice Plat form, which is calledself with edge. It can give you more pleasure to all cats and here further sit andobserve human co-habitant from top. Its cat nature you can also build your owncustomization. There have Lot of option / facility for your customization model. This isbrand give as called “No limit “. Each plate has 5 holes and all the post mutually fitted each and others. It is better stable product because of the entire post bigger diameter and house and self all are plywood .so... you will get better strong and stable .SCRATICHING POST is produced of top quality material. All the post have Sisal fiber Mats with rubber Backing, Pillars 13cm Diameter, Wall thickness of 6mm. End cover Patented and Produced by Virgin Plastic Material. It is awesome product. NOTE: For safety measure, attached wall bracket, Cat weight should be 1-6.5kg for this product TIPS: You must hang up a small Toys mouse for better attractive. Your cat gets more and more interesting to play in this tree and frequently change the color of the toys. ASTRA model is two story houses. Here cat live in three platforms as well as house and it is give you house hold intact. Mostly this model people are using for cat family. Here don‚t have scratch post but you can add there scratch post. 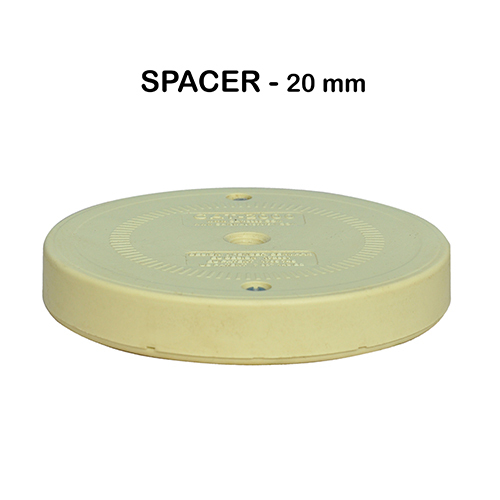 This product easily fitted any place and independently can stable. This house is made 5mm thickness cardboard and cove with plush-fur Material , bottom – top plate in plywood 18mm thickness. 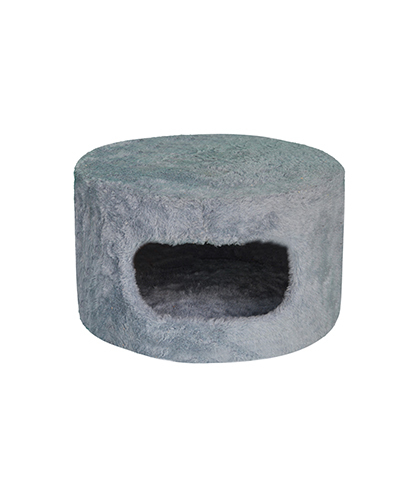 We are provided plush fur fabric to get warm and soft for your cute cat. It is design with high technology and strong constructed. TIPS:You must hang up a small Toys mouse for better attractive. Your cat gets more and more interesting to play in this tree and frequently change the color of the toys. TRIUS models very popular in Market. 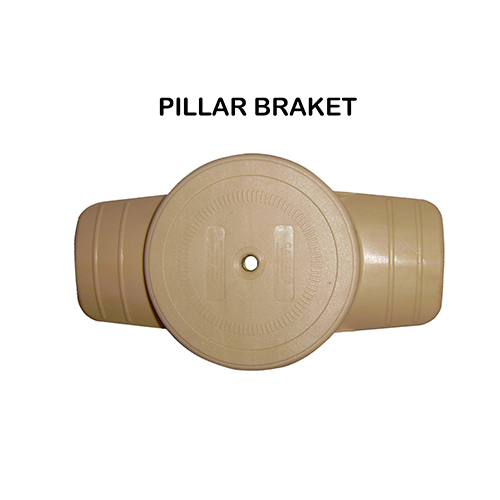 This Give you good look to your house hold intact and Very Good stability with any place can adjustable. More intact to keep it table top. You can also build your own customization. Here further cat will be get nice warm. There have Lot of option / facility for your own model. 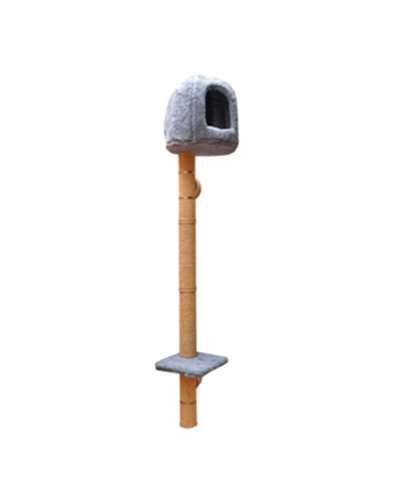 Future can build cat post in top of house but need to buy separate spare parts. Here three doors in this model but cat can easily play as round authentic way. Each plate has 5 holes and all the post mutually fitted with (screw or thread bar) each and others. It is better stable product because of the bigger surface .Our house and self all are plywood .so... you will get better strong and stable .SCRATICHING POST is produced of top quality material. All the post have Sisal fiber Mats with rubber Backing, Pillars 13cm Diameter, Wall thickness of 6mm. 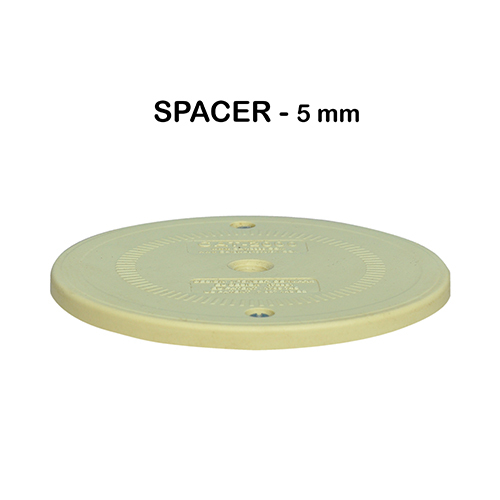 End cover Patented and Produced by Virgin Plastic Material. Last end awesome product. We are personally suggested to keep this product. AVERO model is much familiar in European country. 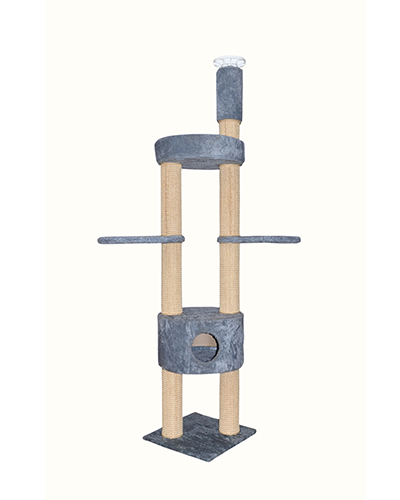 Here is center attached House and top – bottom SCRATICHING POST, which is helping for climb your cat into this tree. 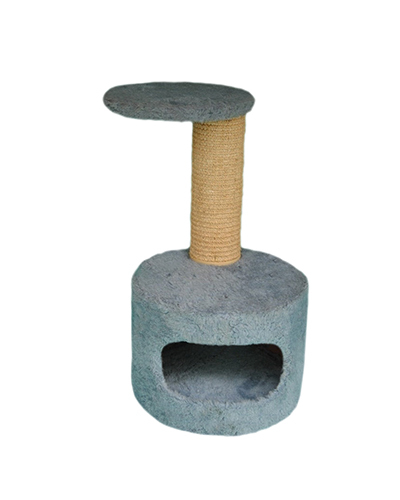 Top attached round self, where cat take rest and jumping.Round self Give you more pleasure to all cats and Here further sit and observe human co-habitant from top. You can also build your own customization. There have Lot of option / facility for your customization model. This is brand give as called “No limit“. RAVERO model three story tree. 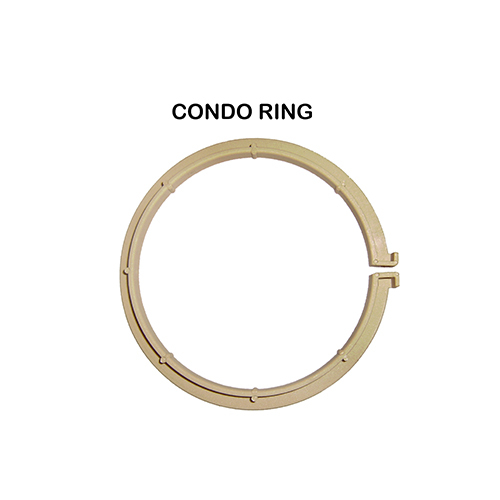 Very stable product and big base with bigger diameter pillar. . You can also build your own customization. There have Lot of option / facility for your own model. This is brand give as called “No limit“. Each plate has 5 holes and all the post mutually fitted with (screw or thread bar) each and others. It is better stable product because of the entire post bigger diameter and house and self all are plywood .so... you will get better strong and stable .SCRATICHING POST is produced of top quality material. 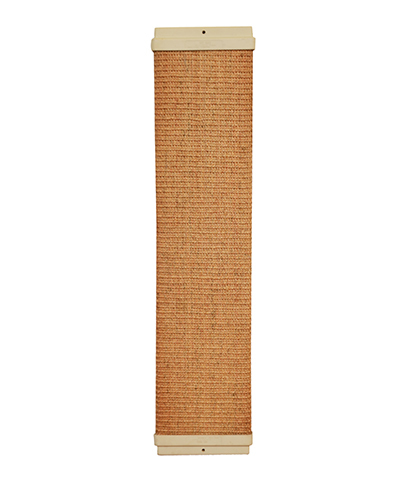 All the post have Sisal fiber Mats with rubber Backing, Pillars 13cm Diameter, Wall thickness of 6mm. 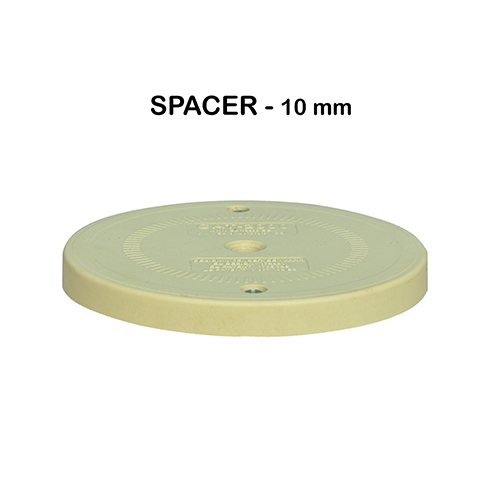 End cover Patented and Produced by Virgin Plastic Material. Last end awesome product. We are personally suggested to keep this product. TIPS:Keep it one small toy on the top of post for better playing or interesting.Please keep it toys in different color and change frequently. NOTE:For safety measure, attached wall bracket and always better tight all assembling. LOGAN is very good stable product and Top fitted Hammock.It is suitable for all age cat or two cat can managed. You can also build your own customization. There have Lot of option / facility for your own model. This is brand give as called “No limit“. TIPS: Keep it one small toy on the Top of post for better playing or Interesting.Please keep it toys different color and change frequently. ROGAN is very good stable product and Top fitted Hammock.It is suitable for all age cat or two cat can managed. You can also build your own customization. There have Lot of option / facility for your own model. This is brand give as called “No limit“. NOTE: For safety measure, attached wall bracket and always better tight all assembling. TIPS:Keep it one small toy on the Top of post for better playing or Interesting. Please keep it toys different color and change frequently. 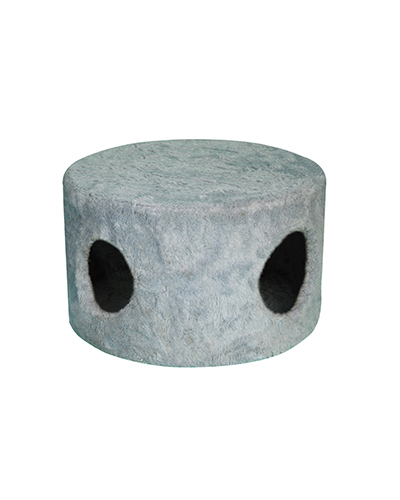 JAZZ is very good stable product also and Top fitted round self .It is suitable for all age cat. You can also build your own customization. There have Lot of option / facility for your own model. This is brand give as called “No limit “. TIPS: Keep it one small toy on the Top of post for better playing or Interesting.Please keep it toy’s different color and change frequently. 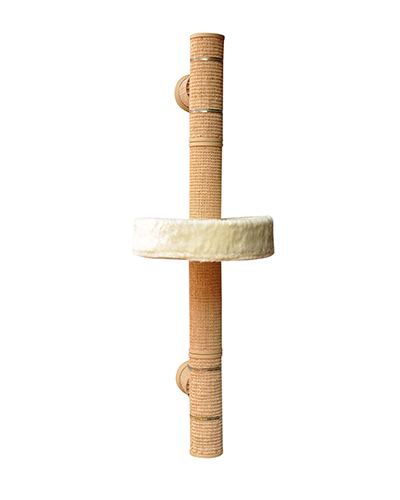 TANGO is very good stable product and Top fitted corner hammock .It is suitable for all age cat . You can also build your own customization. There have Lot of option / facility for your own model. This is brand give as called “No limit “. 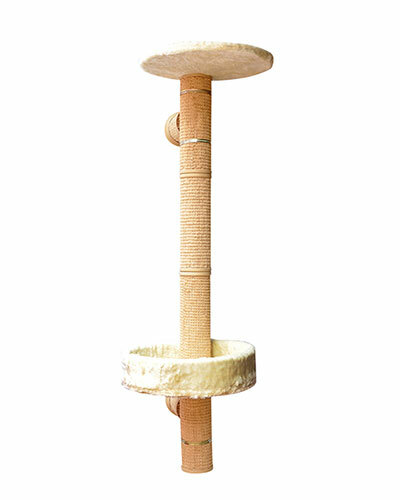 AMRY is very good stable product and Top fitted center Hammock .It is suitable for all age cat or two cat can managed. You can also build your own customization. There have Lot of option / facility for your own model. This is brand give as called “No limit “. 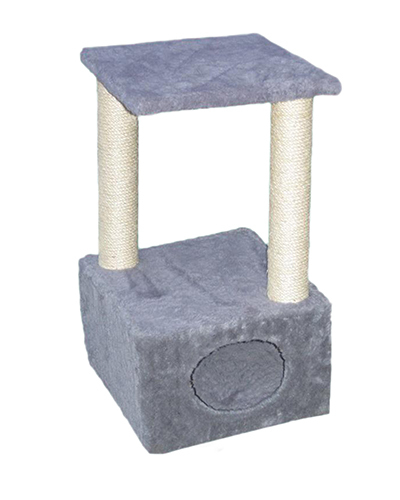 CAMRY is very good stable product and Top fitted corner Hammock .It is suitable for all age cat or two cat can managed. You can also build your own customization. There have Lot of option / facility for your own model. This is brand give as called “No limit “. TIPS:Keep it one small toy on the Top of post for better playing or Interesting.Please keep it toy’s different color and change frequently. FRIUS models very popular in Market. 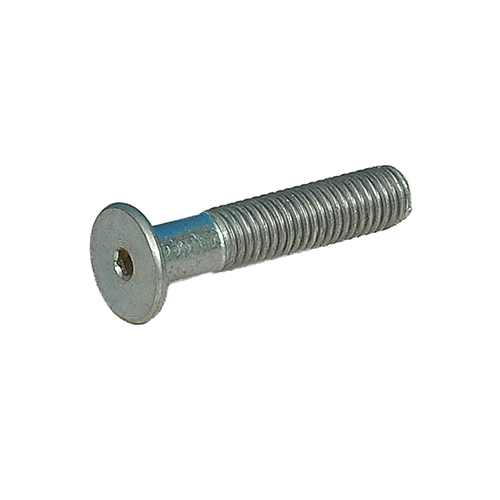 This Give you good look to your house hold intact and Very Good stability with any place can adjustable. More intact to keep it table top. You can also build your own customization. Here further cat will be get nice warm. There have Lot of option / facility for your own model. 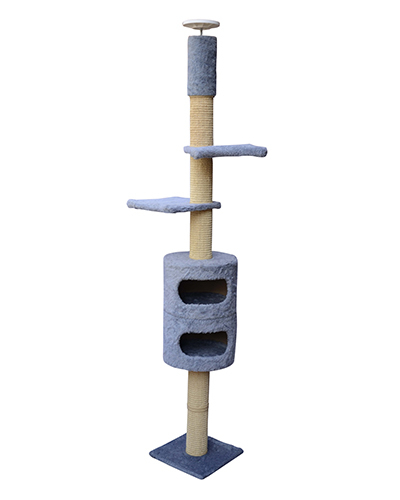 Future can build cat post in top of house but need to buy separate spare parts. 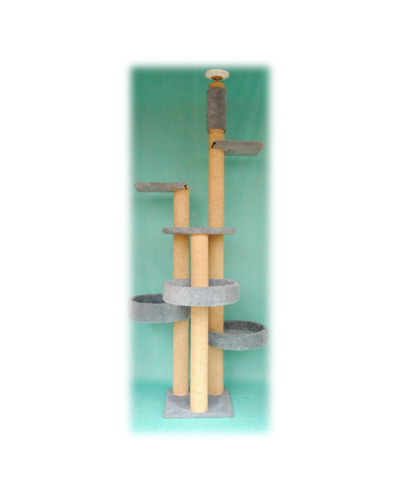 OPTRA Model is can managed for all age cat tree, you can fix with any place of your house. Design is very strong. This model gives you good look to your house hold intact and Very Good stability with any place can adjustable. 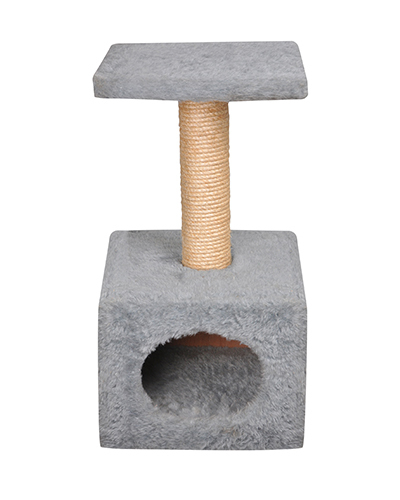 Here top and bottom scratching Post and middle space fitted house to give Jumping platform with living room .Cat can Move as round way and authentic action. Top is fitted Nice Plat form ,which is called Self with edge .self with edge Give you more pleasure to all cats and Here further sit and observe human co-habitant from top . You can also build your own customization. There have Lot of option / facility for your own model. This is brand give as called “No limit “. MAESTRO models very popular in Market. 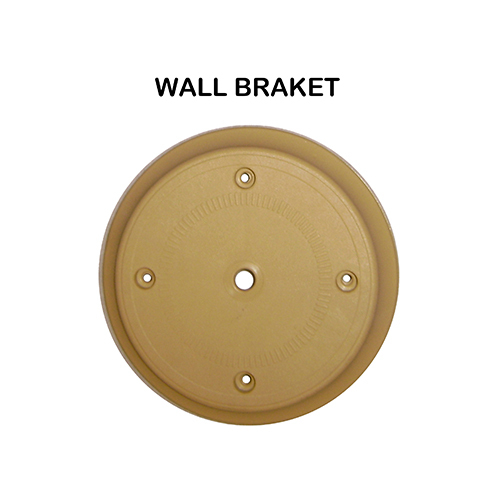 This Give you good look to your house hold intact and Very Good stability with any place can adjustable. 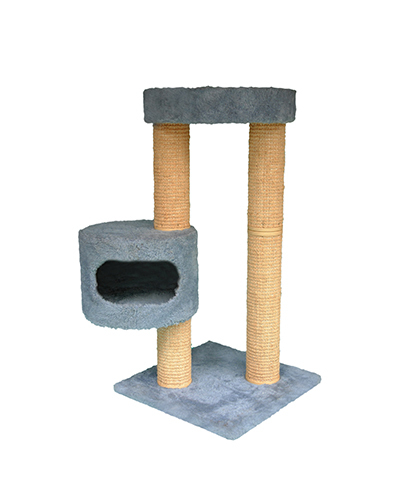 Here both side long scratching Post and middle space fitted house to give Jumping platform with living room .Cat can Move as round way and authentic action. Top is fitted Nice Plat form ,which is called Self with edge .self with edge Give you more pleasure to all cats and Here further sit and observe human co-habitant from top . You can also build your own customization. There have Lot of option / facility for your own model. This is brand give as called “No limit “. TAETOO is also very popular model and four story platform. This Give you good look to your house hold intact. 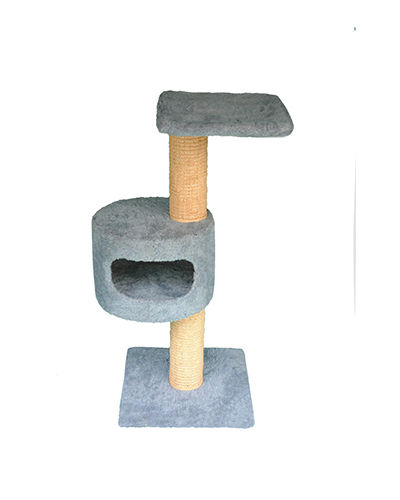 Here both side long scratching Post and middle platform house .Self with edge in the top platform. Cat can easily Jumping platform with living room .Cat can Move as round way and authentic action. Top is fitted Nice Plat form ,which is called Self with edge .self with edge Give you more pleasure to all cats and Here further sit and observe human co-habitant from top . You can also build your own customization. There have Lot of option / facility for your own model. This is brand give as called “No limit “. 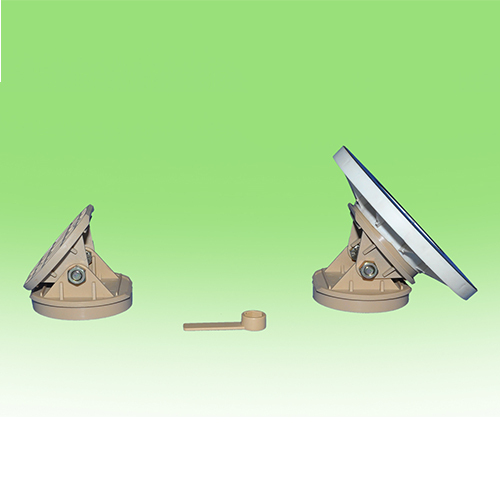 MAESTRO NANO is Give you good look to your house hold and Very Good stability with any place can adjustable. 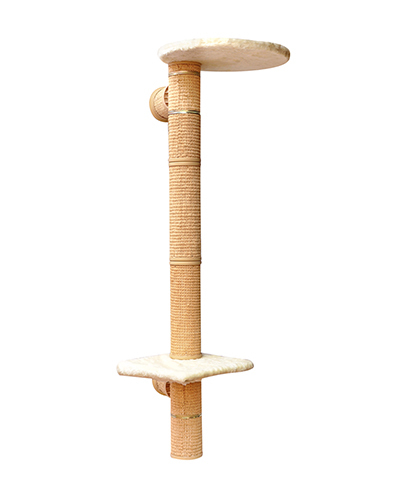 Here one side long scratching Post and another side attached house to give Jumping platform with living room .Cat can Move as round way and authentic action. Top is fitted Nice Plat form ,which is called Self with edge .self with edge Give you more pleasure to all cats and Here further sit and observe human co-habitant from top . It is very big platform. You can also build your own customization. There have Lot of option / facility for your own model. This is brand give as called “No limit “. WALL BRACKET is one of the spare parts. You can use as multiple purposes. It is very use full product for all house hold intact. 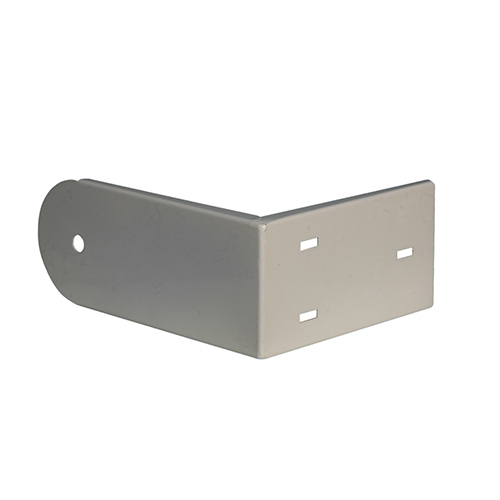 It is made with 1.2 thickness sheet metal .Here proper engineering involve for design, which will be carry more weight and holding. Cat -2000 Brand carrying you lot of new product for our pet’s lover, which is helping to make his own customization model. 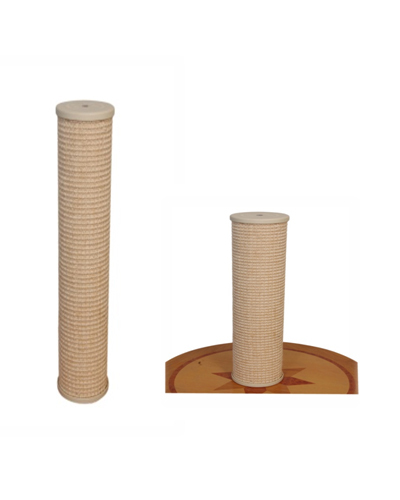 This scratch post can make lot of different way to published and creating model for cute kitten and cat happiness. Example : It can fitted in table top ,can fitted for your dining table leg, Can fitted in wall ,can rolling in floor .So many idea to make pleasure your cute cat. Another good thing’s - many pillars’ can join together and decorative your house hold intact. It is made 100% sisal mat’s, which will give you more and more durability. Product Size:13cm Diameter x 40cm length & Cover with sisal mat. PASAD is a multi version model for cats who like to climb and rest, other components from the parts list can easily be changed or attached to build your own system. 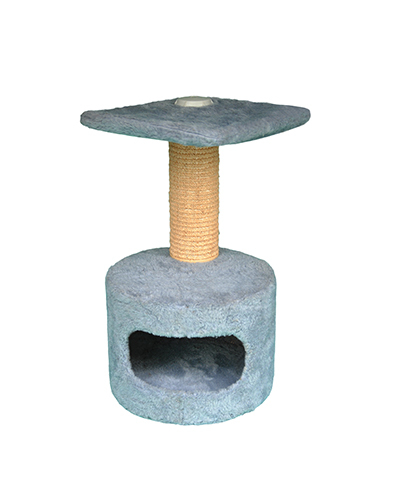 PASAD climbing Cat tree is produced of top quality material and cat house Made of paper drum in 5mm thickness ,covered with plush-fur Material and bottom –top plate in plywood 18mm thickness. All the pillars are made with Sisal fiber Mats with rubber Backing, Which can give more durability .All Pillars are 13 cm Diameter, Wall thickness of mats 6mm and both side cover with plastic end cover with EUROPEAN and USA Patented and Produced by Virgin Plastic Material. Further our all (Self, Self with edge and base plate) the product made in Plywood 18mm .It can help you for better strong and durability. 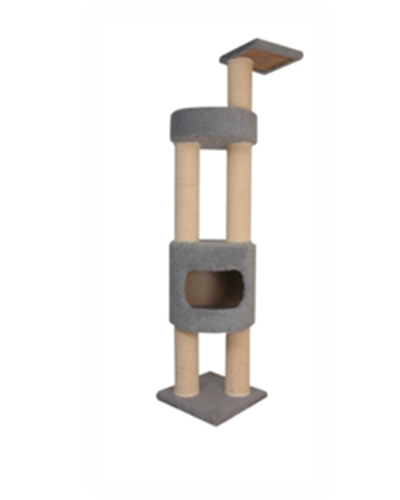 Ceiling height cat trees are extremely stylish cat trees of a light appearance that are tensioned between the floor and the ceiling (no drilling necessary).We are providing all the necessary Parts. 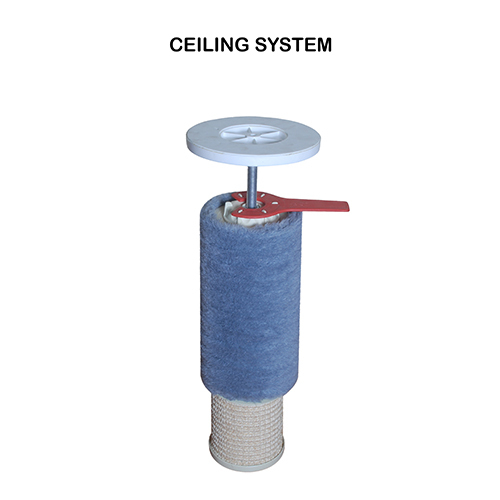 You can slowly tight with Ceiling with the help of red spanner. They are exceptionally space saving and with their lean design, they can easily be integrated into any flat. Active cats are love being able to climb right to the ceiling and all cats are enthralled with the higher-level platforms. 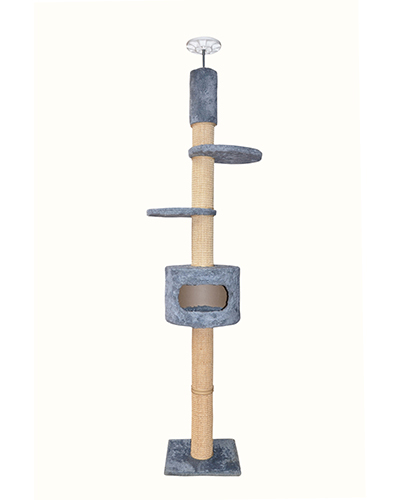 These not only serve as a secure retreat for your cat, but also offer the perfect position to observe the actions of her human cohabitants. Every cat household needs cat toys to keep your cat fit and sharpen her senses with the right toys, your cat never get bored. Interesting cat toy is not only the health and physical fitness but also for the mental stability of meaning. Innovative cat toys from the United States and cat toys from. SWIFT is a multi version model for cats who like to climb and rest, other components from the parts list can easily be changed or attached to build your own system. 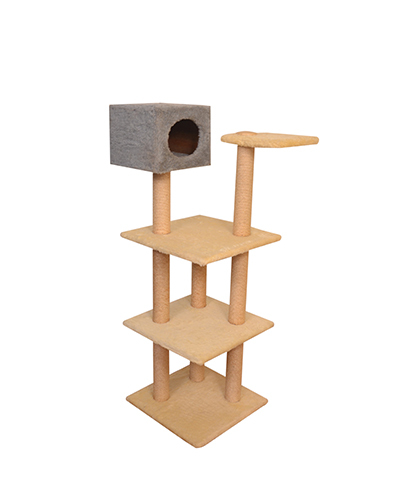 This climbing Cat tree is produced of top quality material and cat house Made of paper drum in 5mm thickness ,covered with plush-fur Material and bottom –top plate in plywood 18mm thickness. 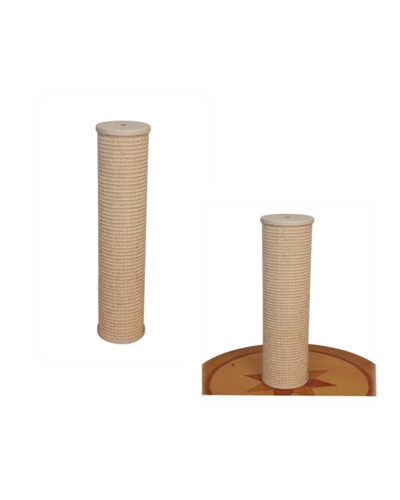 All the pillars are made with Sisal fiber Mats with rubber Backing, Which can give more durability .All Pillars are 13 cm Diameter, Wall thickness of mats 6mm and both side cover with plastic end cover with EUROPEAN and USA Patented and Produced by Virgin Plastic Material. Further our all (Self, Self with edge and base plate) the product made in Plywood 18mm .It can help you for better strong and durability. Every cat household needs cat toys to keep your cat fit and sharpen her senses with the right toys, your cat never get bored. Interesting cat toy is not only the health and physical fitness but also for the mental stability of meaning. Innovative cat toys from the United States and cat toys from renowned manufacturers guarantee playfulness. FIGO is a multi version model for cats who like to climb and rest, other components from the parts list can easily be changed or attached to build your own system. PAULO is a two hammock version with double cat house .Other components from the parts list can easily be changed or attached to build your own system. 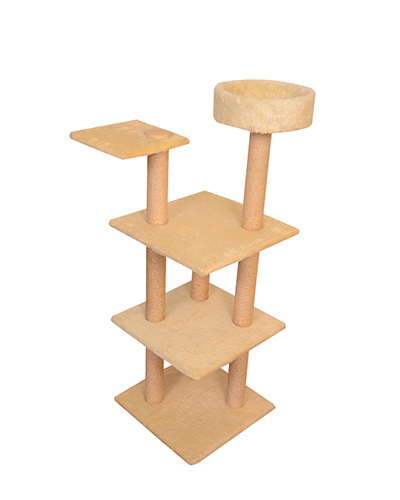 Multi version model for cats who like to climb and rest, other components from the parts list can easily be changed or attached to build your own system. 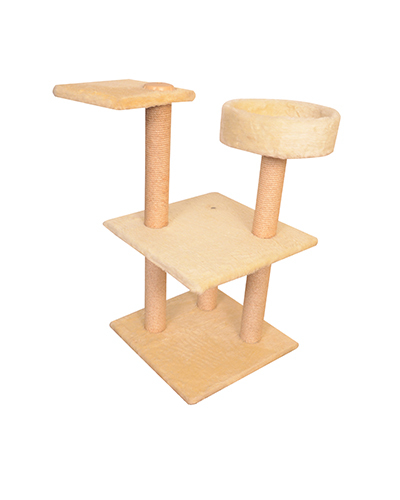 This climbing Cat tree is produced of top quality material and cat house Made of paper drum in 5mm thickness ,covered with plush-fur Material and bottom –top plate in plywood 18mm thickness. All the pillars are made with Sisal fiber Mats with rubber Backing, Which can give more durability .All Pillars are 13 cm Diameter, Wall thickness of mats 6mm and both side cover with plastic end cover with EUROPEAN and USA Patented and Produced by Virgin Plastic Material. Further our all (Self, Self with edge and base plate) the product made in Plywood 18mm .It can help you for better strong and durability. ALTO is a multi version model for cats who like to climb and rest, other components from the parts list can easily be changed or attached to build your own system. ACCENT is a 3 version model for cats and 2 self. Other components from the parts list can easily be changed or attached to build your own system. POLO is a 3 version model with cats house, Round shelf and round shelf with Soft edge…who like to climb and rest, other components from the parts list can easily be changed or attached to build your own system. 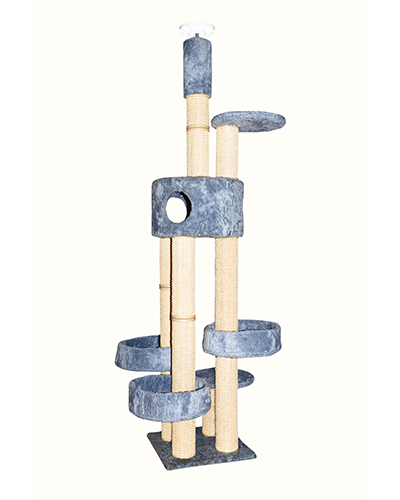 JETTA is a multi version model for cats who like to climb and rest, other components from the parts list can easily be changed or attached to build your own system. 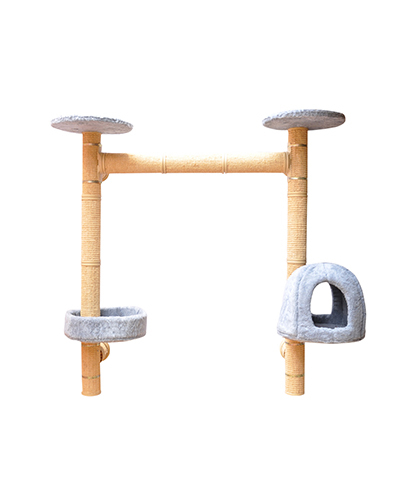 GETZ is a multi version model for cats who like to climb and rest, other components from the parts list can easily be changed or attached to build your own system. 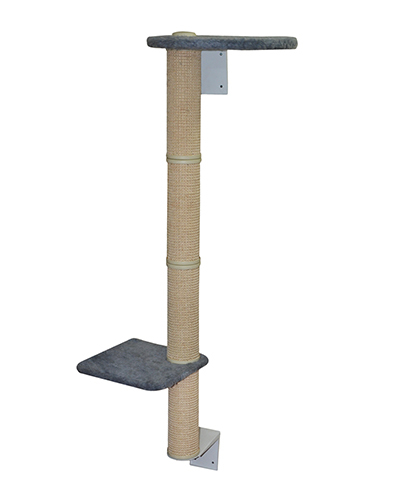 PRIUS is a our entry level for floor to ceiling –cat climbing tree, for small and Big cats who like to climb up and down with rest, Extremely robust and strong and Easy to assemble .Components from the parts list can easily be changed or attached to build your own system . WIRA is a 3 Hammock version of our model .Other components from the parts list can easily be changed or attached to build your own system. 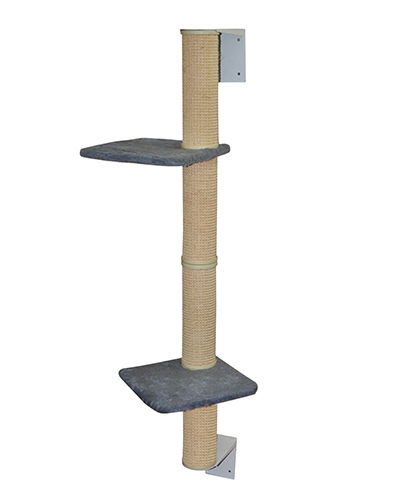 Vista Model a multi version model for cats who like to climb and rest, other components from the parts list can easily be changed or attached to build your own system. 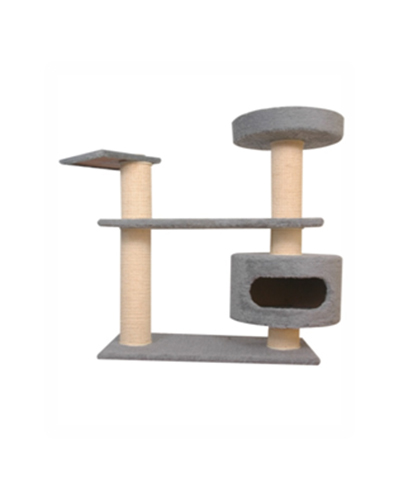 FISTA also is a multi version model for cats who like to climb and rest, other components from the parts list can easily be changed or attached to build your own system. 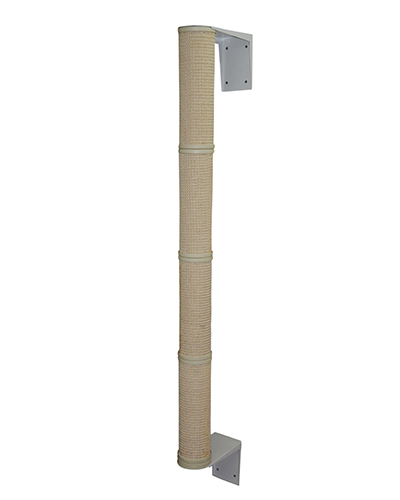 Profiling wall mounted cat trees are new generation of modern and innovation cat trees. The Suspended installation on the wall gives these cat trees a particularly aesthetic appearance. 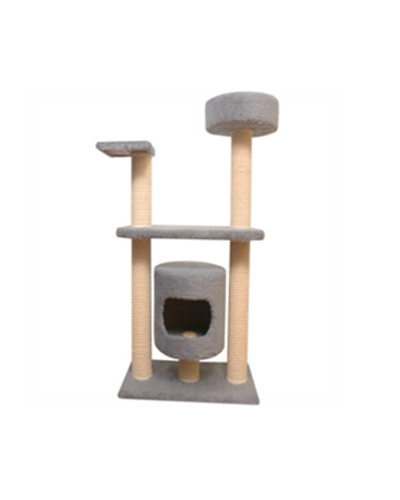 Despite only taking up a minimal amount of space, they have everything your cat’s heart desires. 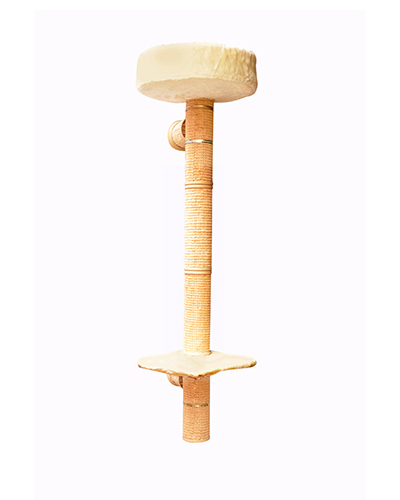 Suspended wall mounted cat trees leave a space underneath the cat tree-Which can be used for other things-and it makes a huge difference to your cleaning efforts in day to day life. 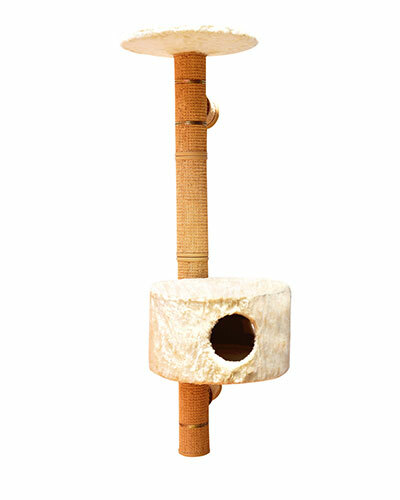 Profiling wall mounted cat trees combine design and a well-thought out cat friendly layout. NOTE: The wall intended for the installation must be sufficiently stable to stand up to the weight of the cat tree. Hollow walls are not suitable. 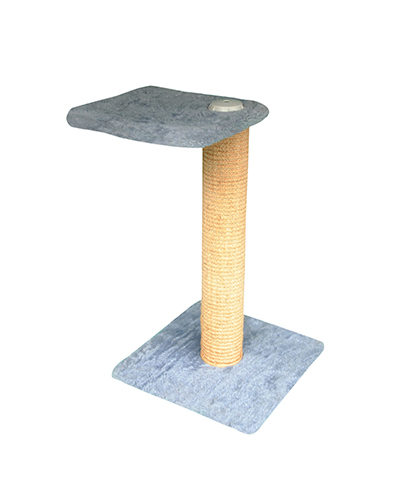 Please note that any cat trees assembled from our modules, an intermediate plate, or any desired platform, must be placed between the wall brackets and sisal scratch post. NOTE:The wall intended for the installation must be sufficiently stable to stand up to the weight of the cat tree. Hollow walls are not suitable. 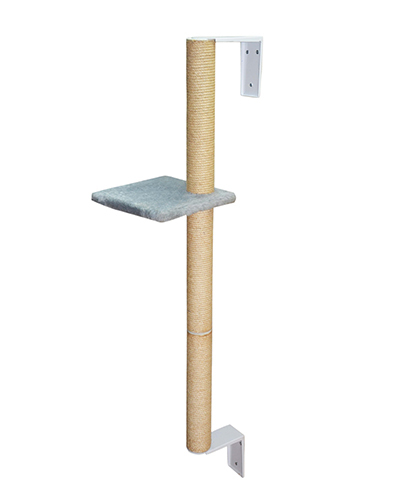 Please note that any cat trees assembled from our modules, an intermediate plate, or any desired platform, must be placed between the wall brackets and sisal scratch post. 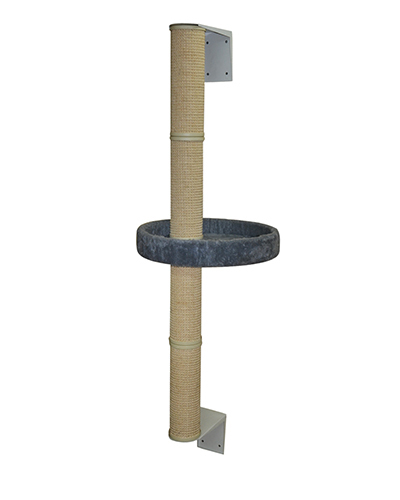 PINNACLE Wall mounted cat climbing tree have one platform for big and small cats who likes to climb up and down .Extremely robust and strong, easy to assemble .Components from our part list can easily be changed to build your own system with fantasy produced by top quality material, Sisal mats with rubber backing, Which can give you more durability .It is special quality and all the pillars in 13.3cm diameter with different length and 6mm wall thickness of mats with European and USA patented with Danish design Product ,All are made in virgin HIPS & Glass filled material. Plywood in 17 mm thickness. . Further all ply-wood are cover with plush-fur Material. Your Pet is bound to discover the perfect place to chill out. Also offer the perfect position to observe the actions of her human co-habitants. 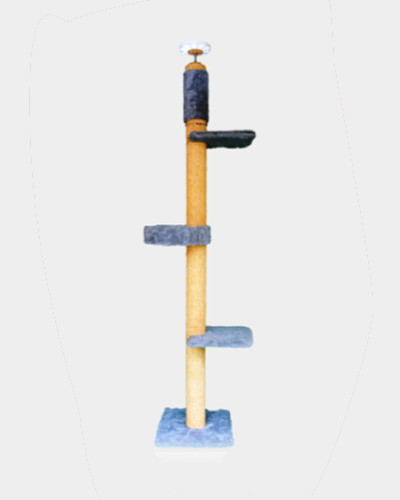 Profiling wall mounted cat trees are new generation of modern and innovation cat trees. The Suspended installation on the wall gives these cat trees a particularly aesthetic appearance. Despite only taking up a minimal amount of space, they have everything your.cat’s heart desires. 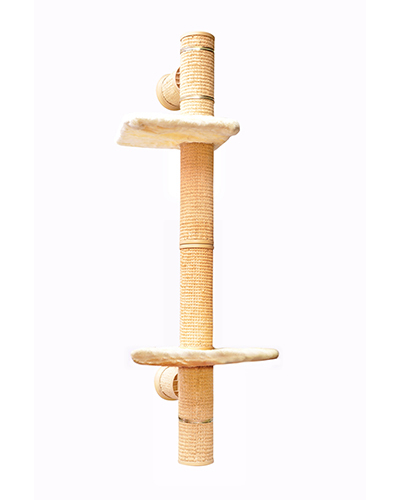 Suspended wall mounted cat trees leave a space underneath the cat tree-Which can be used for other things-and it makes a huge difference to your cleaning efforts in day to day life. 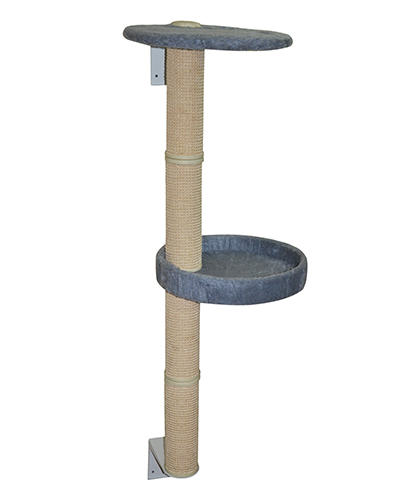 Profiling wall mounted cat trees are new generation of modern and innovation cat trees. The Suspended installation on the wall gives these cat trees a particularly aesthetic appearance. 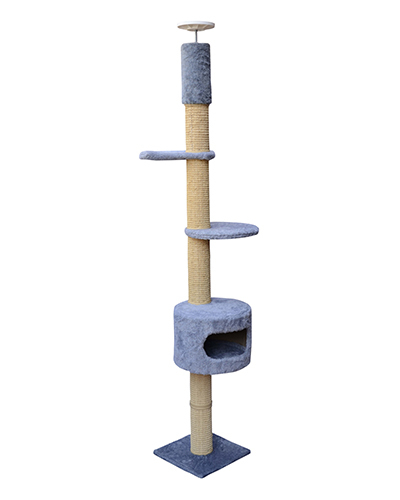 Despite only taking up a minimum amount of space, they have everything your cat’s heart desires. 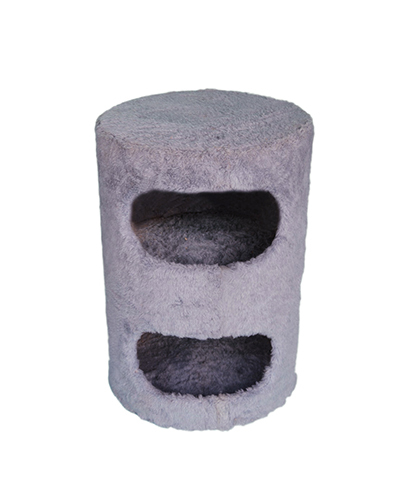 Suspended wall mounted cat trees leave a space underneath the cat tree-Which can be used for other things-and it makes a huge difference to your cleaning efforts in day to day life. 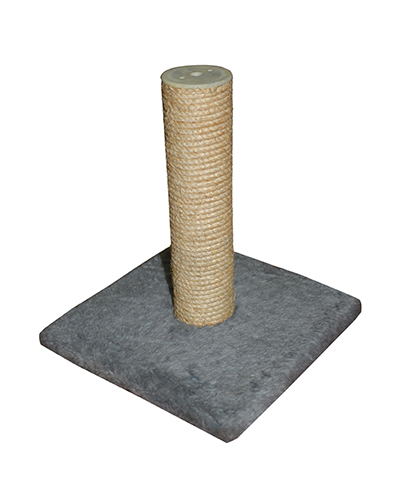 Scratching board Wall mounted is starting model for cat. Extremely robust and strong, easy to scratch. 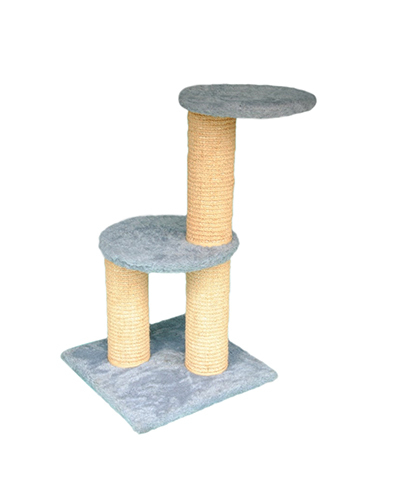 It is very Popular Model for all age cat .You can used in floor as well as wall also. Further it is fantasy product by top quality material, Sisal mats with rubber backing and attached with plywood, which can give you more durability. 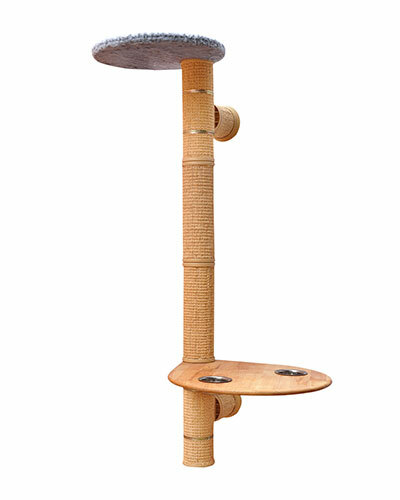 Profiling wall mounted cat trees are new generation of modern and innovation cat trees. The Suspended installation on the wall gives these cats scratching a particularly aesthetic appearance. 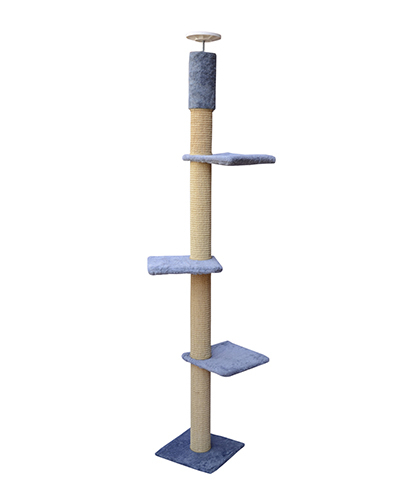 Despite only taking up a minimal amount of space, they have everything your cat’s heart desires. 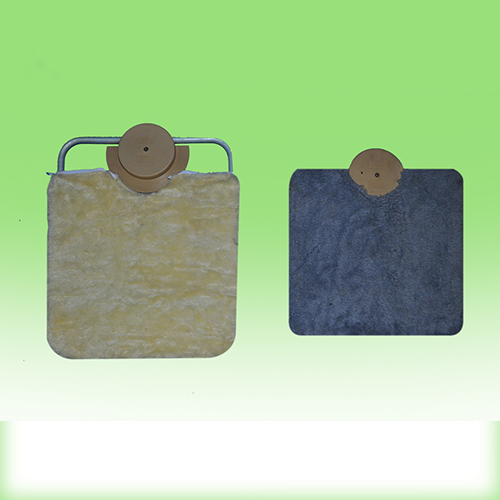 This product is eco-friendly to carry out side and Home utilization. Profiling wall mounted cat scratching combine design and a well-thought out cat friendly layout. 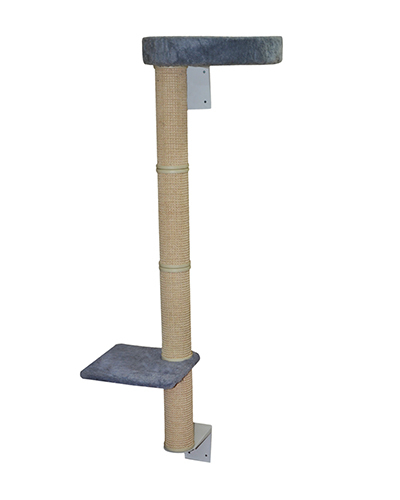 PINNACLE-2 Wall mounted cat climbing tree have one platform for big and small cats who likes to climb up and down .Extremely robust and strong, easy to assemble .Components from our part list can easily be changed to build your own system with fantasy produced by top quality material, Sisal mats with rubber backing, Which can give you more durability .It is special quality and all the pillars in 13.3cm diameter with different length and 6mm wall thickness of mats with European and USA patented with Danish design Product ,All are made in virgin HIPS & Glass filled material. Plywood in 17 mm thickness. . Further all ply-wood are cover with plush-fur Material. Your Pet is bound to discover the perfect place to chill out. Also offer the perfect position to observe the actions of her human co-habitants. SANDRA MODEL is very familiar and produced of top quality material. 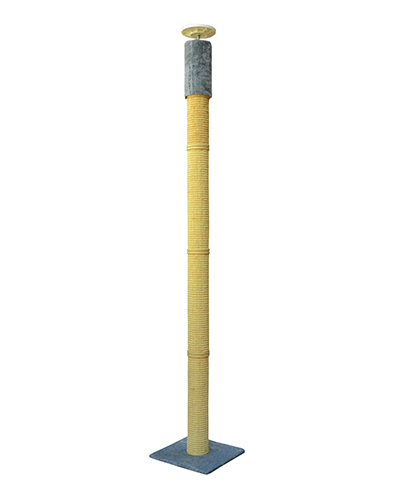 Our Sisal post are made in sisal rope fiber , Pillars 7.5cm Diameter, Rope thickness of 6mm. End cover Patented and Produced by Virgin Plastic Material. 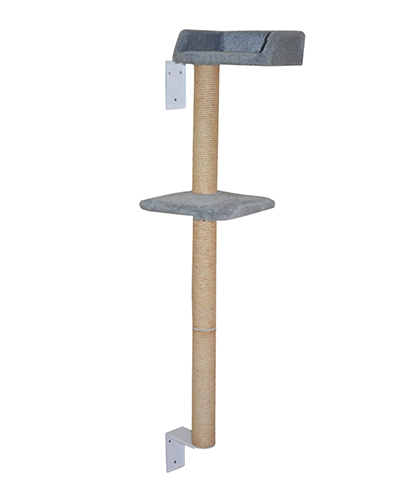 NOTE: As a safety measure we recommend the purchase of the wall bracket to secure cat tree. 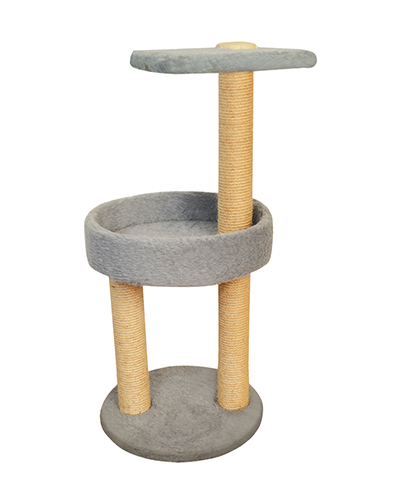 This supports and prevents the accidental tipping of the cat tree. MANTRA MODEL : House Made of plywood 6mm thickness ,covered with plush-fur Material and bottom –top plate in plywood 18mm thickness. Here can get a bigger platform, which can help for more stability. 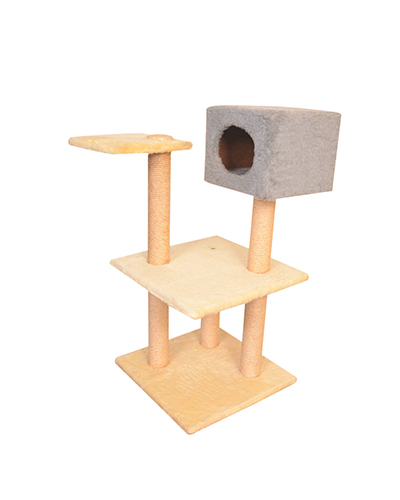 GYM Model : CAT HOUSE Made of plywood 6mm thickness ,covered with plush-fur Material and bottom –Top plate in plywood 18mm thickness. Top plate made with 18mm plywood, cover with plush-fur Material .Three platform are made in 18mm plywood, Cover with plush –fur material also. 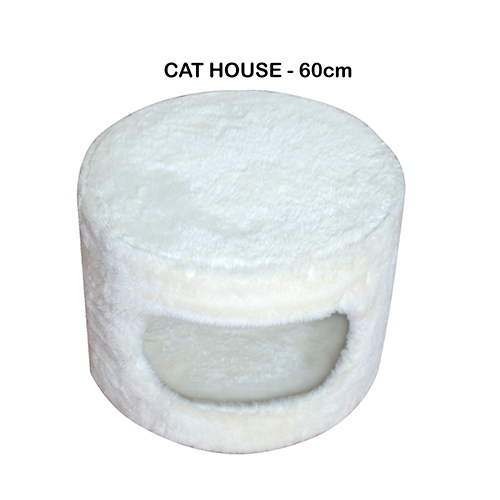 The Plush-fur material can get warm for our cute cat. 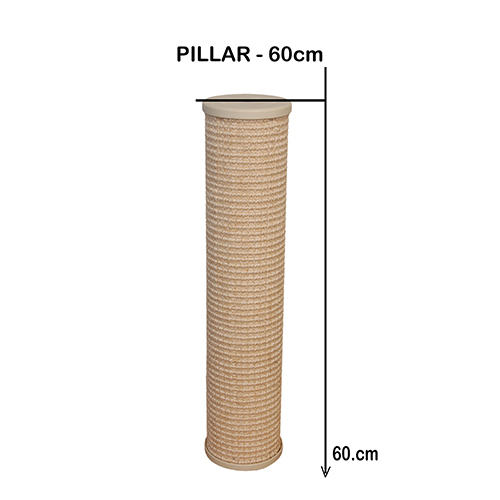 All the pillars are made in sisal rope 6mm and both side Plastic end cover. 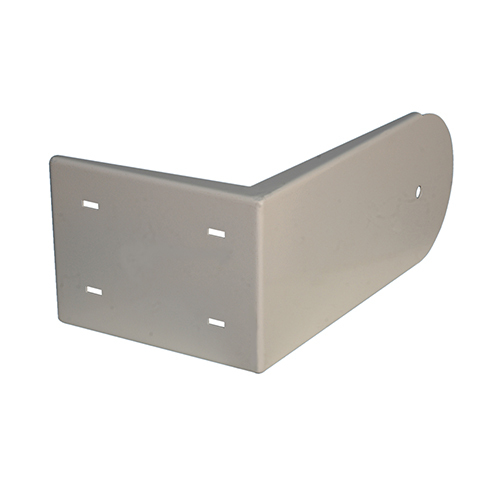 We are additional providing support Plastic for Better Hold house and Top plate. 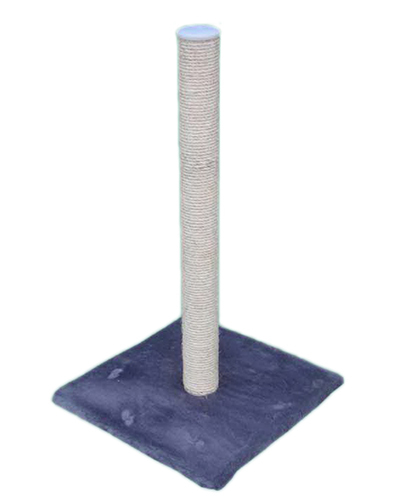 SCRATICHING POST is produced of top quality material .Sisal fiber rope 6mm diameter and both end attached with Virgin Plastic end cover. 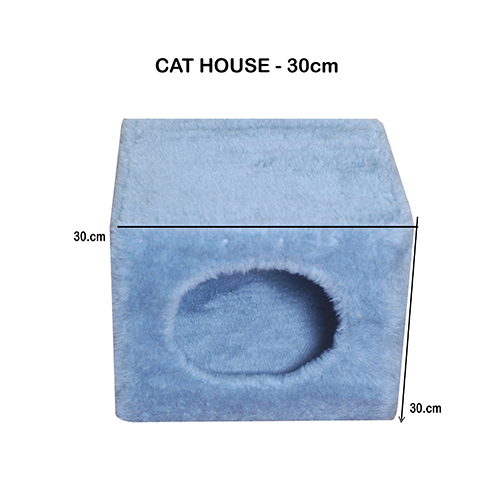 It will be suitable for Baby cat as well as adult cat and stable product in floor. Here another Benefit, we will get long claw, because Pillar size 60cm. 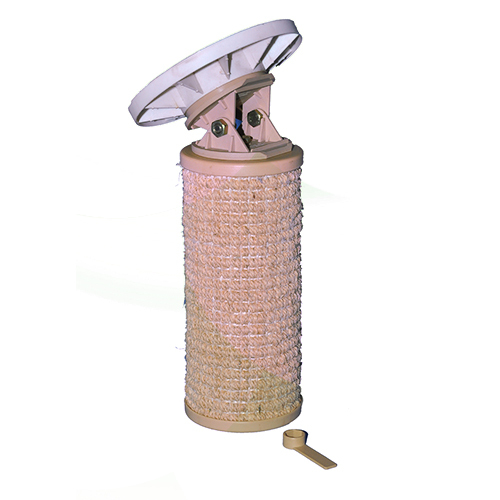 TARZON MODEL is very familiar and produced of top quality material. 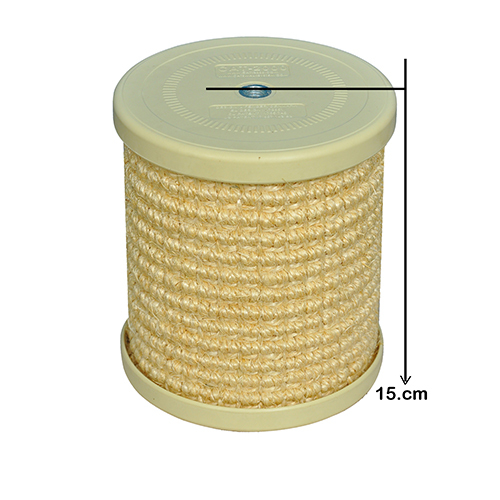 All Sisal post are made in sisal rope fiber , Pillars 7.5cm Diameter, Rope thickness of 6mm. End cover Patented and Produced by Virgin Plastic Material. 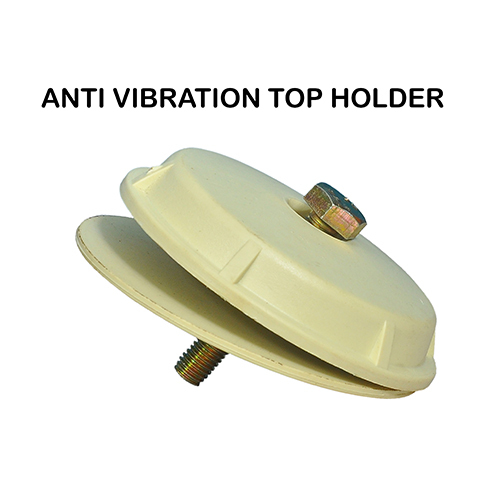 We are additional providing support Plastic Holder for Top plate. Good stable product. 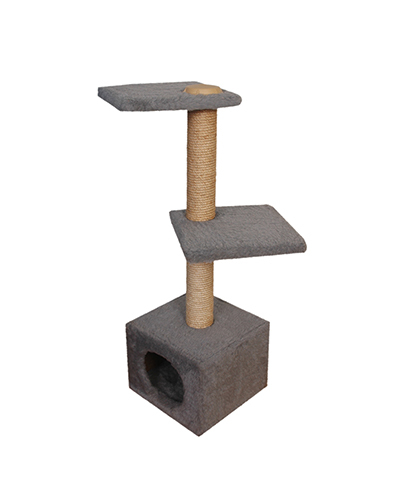 This cat tree with House has lots of different places where your cat plays or hides away. Your Pet is bound to discover the perfect place to chill out. 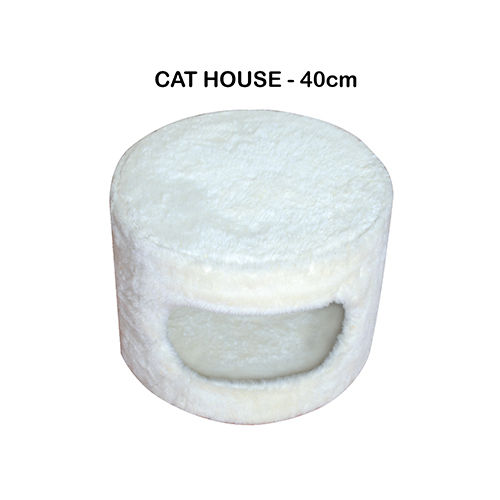 It is suitable for baby Cat and Middle age cat (0.5 Kg-2.5kg) or Family baby cat. 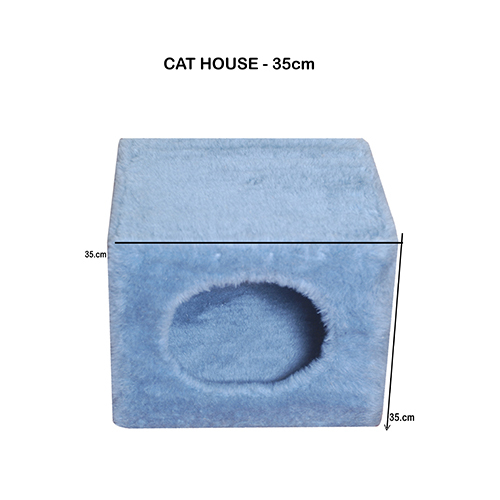 SANDUISH MODEL: CAT HOUSE Made of plywood 6mm thickness ,covered with plush-fur Material and bottom –Top plate in plywood 18mm thickness. 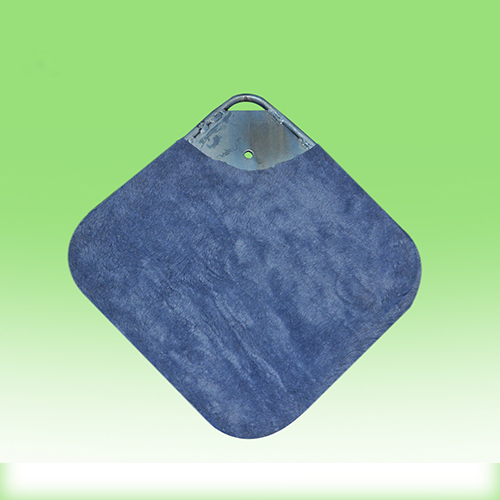 Top plate made with 18mm plywood, cover with plush-fur Material .Three platform are made in 18mm plywood, Cover with plush –fur material also. The Plush-fur material can get warm for our cute cat. 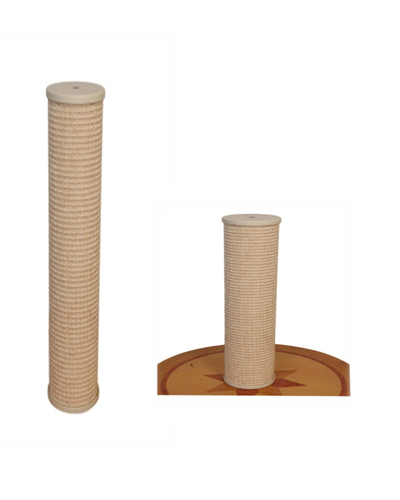 All the pillars are made in sisal rope 6mm and both side Plastic end cover. 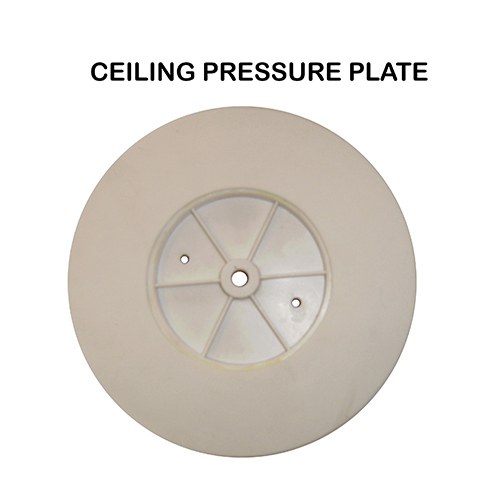 We are additional providing support Plastic for Better Hold house and Top plate self with edge. Here better stability because of Bigger Base and cat can easily jump and play with Long scratch. 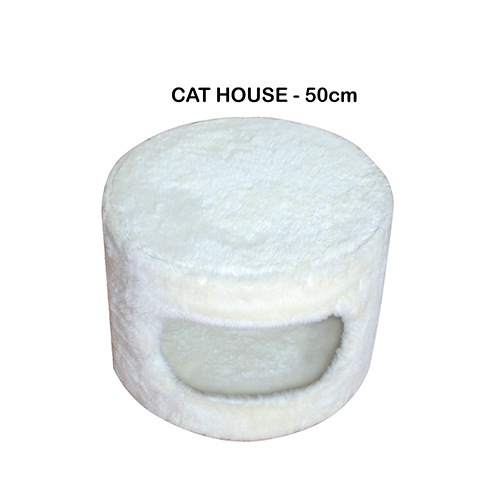 It will be suitable for Baby cat and Middle age cat (0.5 -3 kg) or Family baby cat. 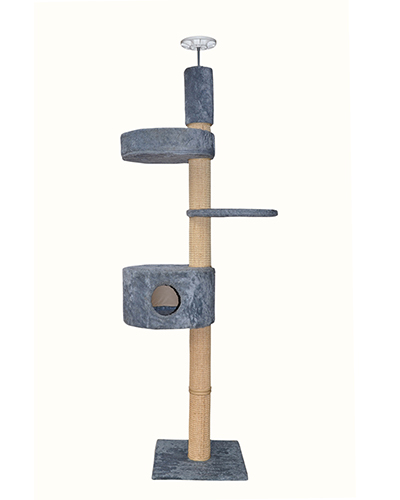 This cat tree with House has lots of different places where your cat plays or hides away. Your Pet is bound to discover the perfect place to chill out. DRAGON MODEL: Self with edge made of plywood 18 mm thicknesses and around the plate thick paper 5mm edge, covered with plush-fur Material. Top plate made with 18mm plywood, cover with plush-fur Material .Two platform are made in 18mm plywood, Cover with plush –fur material also. The Plush-fur material can get warm for our cute cat. All the pillars are made in sisal rope 6mm and both side Plastic end cover. 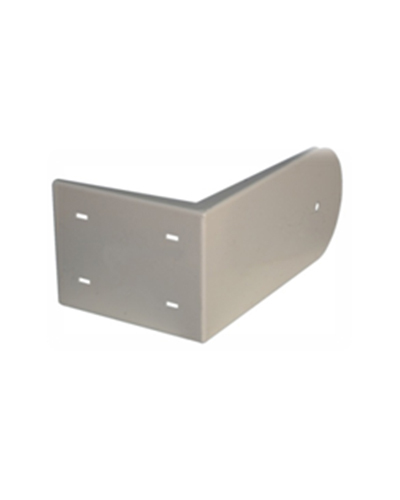 We are additional providing support Plastic for better Hold Top plate and self with edge. 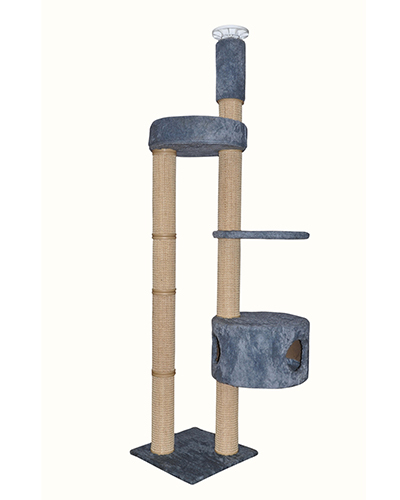 Profiling wall mounted cat tree are a new generation of modern and innovative cat trees. The suspended installation on the wall gives these cat trees a particularly aesthetic appearance. 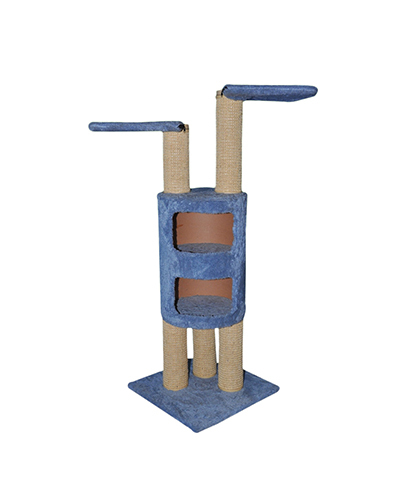 Despite only taking up a minimal amount of space, they have everything your cat’s heart desires. 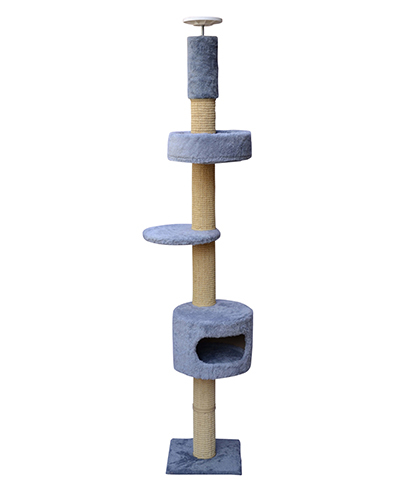 Suspended wall mounted cat trees leave a space underneath the cat tree. Which can be used for other thing and it makes a huge difference to your cleaning efforts in day to day life. 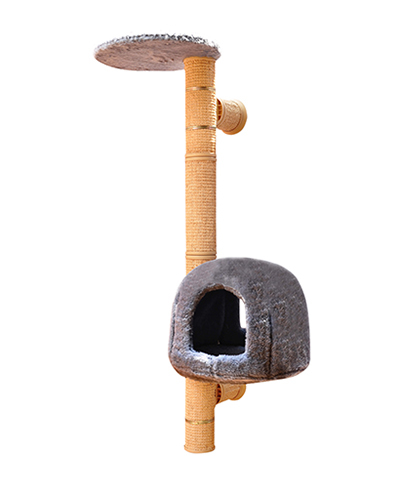 Profiling wall mounted cat trees combine design and a well –thought out cat friendly layout. 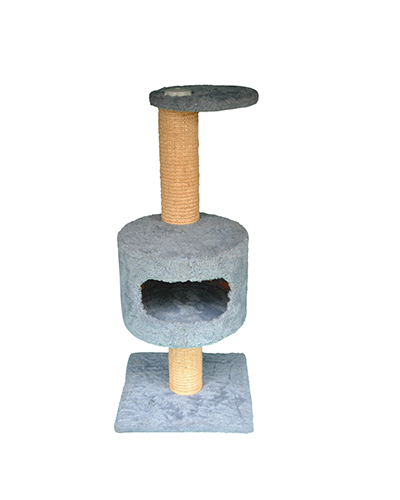 MIANO Model are also cute for our kitten .Here Both of the end have two Steel bracket and Three Pillars with House, Self. House made of plywood 18 mm thicknesses and around the plate Thinner plywood 6mm edge, covered with plush-fur Material. Centre Plate (self) made with 18mm plywood, cover with plush-fur Material. The Plush-fur material can get warm for our cute cat. All the pillars are made in sisal rope 6mm and both side Plastic end cover. We are additional providing support Plastic for better Hold- self with edge. NOTE: : The wall intended for the installation must be sufficiently stable to stand up to the weight of the cat tree. Hollow walls are not suitable. 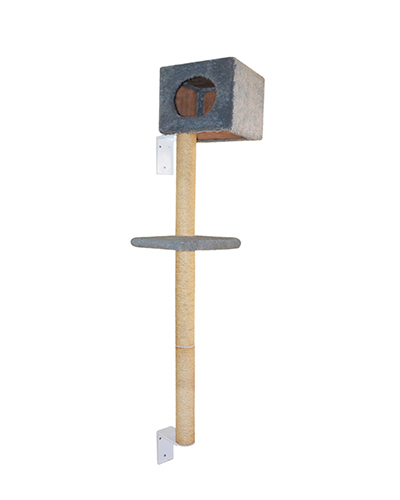 Please note that any cat trees assembled from our modules, an intermediate plate Or any desired platform, must be placed between the wall brackets and sisal scratch post. SANTRA MODEL: Self with edge made of plywood 18 mm thicknesses and around the plate thick paper 5mm edge, covered with plush-fur Material. Top plate made with 18mm plywood, cover with plush-fur Material .Three platform are made in 18mm plywood, Cover with plush –fur material also. The Plush-fur material can get warm for our cute cat. Top plate also solid Plywood with cover plush –fur material. All the pillars are made in sisal rope 6mm and both side Plastic end cover. 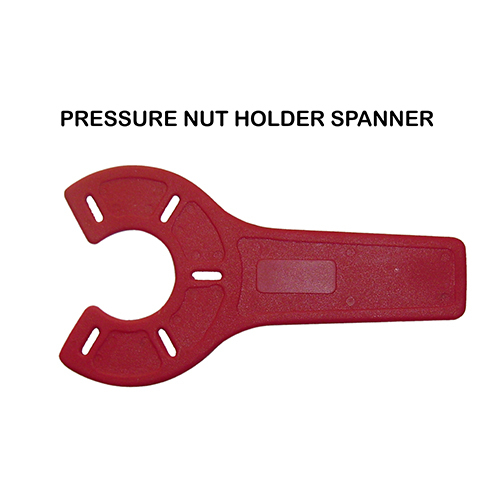 We are additional providing support Plastic for better Hold Top plate and self with edge. LIANO Model is also cute for our kitten. Here both of the ends have two Steel bracket and Three Pillars with self with edge, self. Self with edge made of plywood 18 mm thicknesses and around the plate Thicker paper 5mm edge, covered with plush-fur Material. Center plate (Self) made with 18mm plywood, cover with plush-fur Material. The Plush-fur material can get warm for our cute cat. All the pillars are made in sisal rope 6mm and both side Plastic end cover. 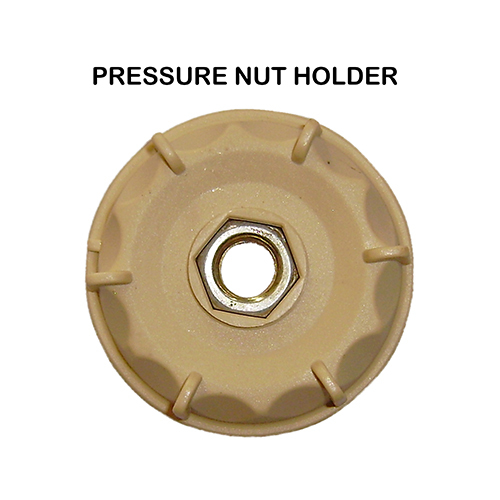 We are additional providing support Plastic for better Hold- self with edge. NOTE: The wall intended for the installation must be sufficiently stable to stand up to the weight of the cat tree. Hollow walls are not suitable. 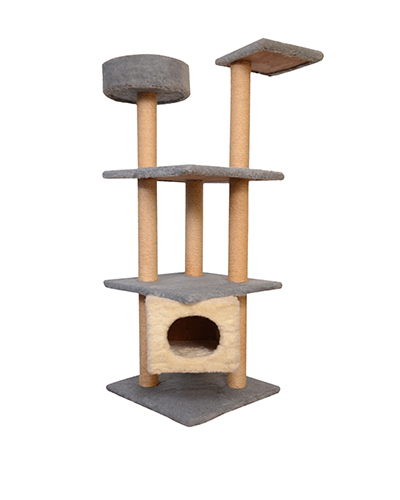 Please note that any cat trees assembled from our modules, an intermediate plate Or any desired platform, must be placed between the wall brackets and sisal scratch post. 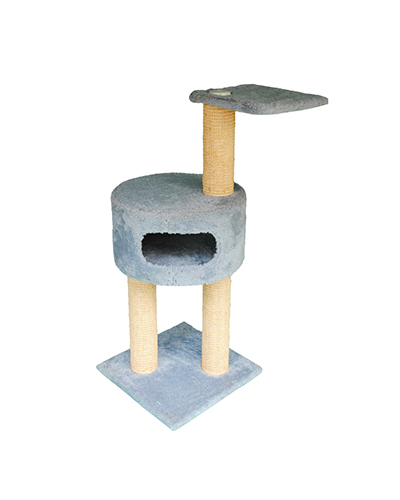 FIANO Model are also cute for our kitten .Here Both of the end have two Steel bracket and Three Pillars with self . Self made of plywood 18 mm thicknesses and covered with plush-fur Material. The Plush-fur material can get warm for our cute cat. 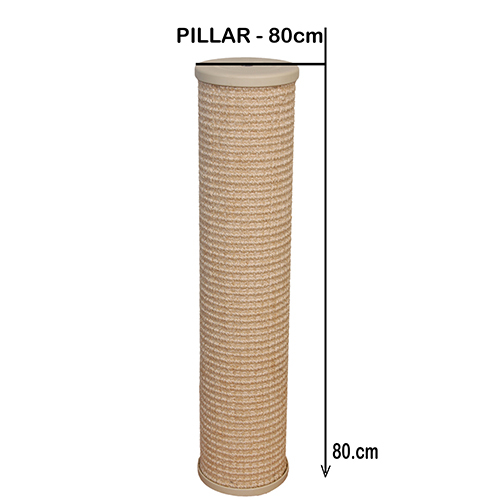 All the pillars are made in sisal rope 6mm and both side Plastic end cover. JAMES MODEL is very familiar and produced of top quality material. 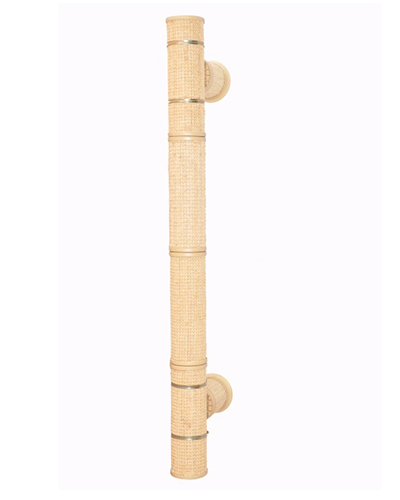 Our Sisal post are made in sisal rope fiber , Pillars 7.5cm Diameter, Rope thickness of 6mm. End cover Patented and Produced by Virgin Plastic Material. 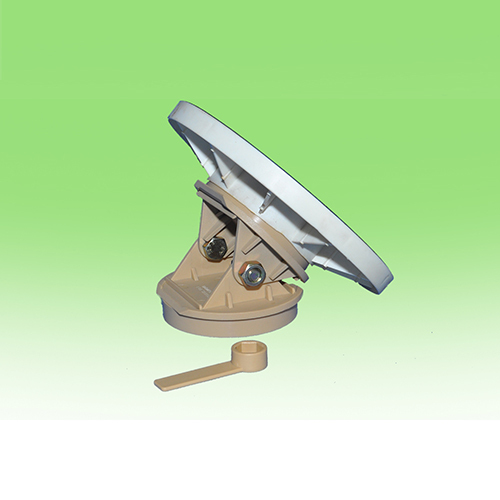 WILLIUM MODEL is very familiar also and produced of top quality material. 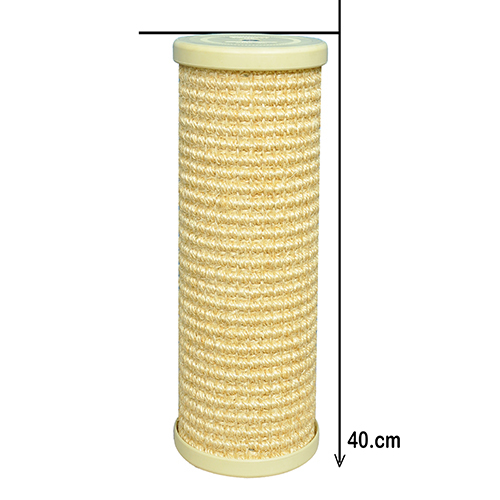 Our Sisal post are made in sisal rope fiber , Pillars 7.5cm Diameter, Rope thickness of 6mm. End cover Patented and Produced by Virgin Plastic Material.